After nearly a year in development, Cellcast Digital Signage plans are now available for purchase following the system’s product launch. The system boasts a number of content broadcasting features, including an online campaign editor and a robust level of customization options. 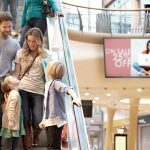 Plans are currently being marketed towards restaurants, fitness centers, healthcare facilities and other types of businesses that require public electronic signage. Whatever their signage needs, Cellcast’s online campaign editor is powerful enough to deliver exactly the kind of content customers dream of. Innovative page divisions, timing and effects options were designed to polish any menu, rulebook, or posting into an eye-catching indoor billboard. Part of the Cellcast product’s appeal lies in its versatility. For business accounts that already have HD TV displays and their own marketing team, Cellcast can provide only the hardware and web-application infrastructure that make digital signage possible. However, for small business owners who don’t have the time or staff to work out an in-house creative solution, the Cellcast Design team is available to create and maintain campaigns. Gio Capurro, Cellcast Design Team Lead, is admittedly eager for the product’s launch, but not for the reasons you’d expect. “I’m looking forward to the variety of projects and customers we’ll get to work within the coming months. Every [digital signage] campaign will be a chance to do something different, and that’s the kind of challenge I live for.” Capurro said.  For more information about Cellcast solutions for your facility or business, contact Alex Moreland at sales@cellcast.net. It is our mission to connect people to empowering information through digital signs. Today, people demand content on their terms and Cellcast Content Broadcasting lets you give it to them. We pride ourselves on creating experiences unlike any other and continuously enhancing the functionality of our digital signage platform to supersede the communication needs of our customers.